Toenail reconstruction is a cosmetic as well as medical procedure. Toenail reconstruction is performed by a foot health professional using a specialist resin that is layered either directly on to the nail bed if there is no nail present due to trauma or surgery so that a brand new nail is created or on top of unsightly or misshapen nails so that the nail is more aesthetically pleasing. 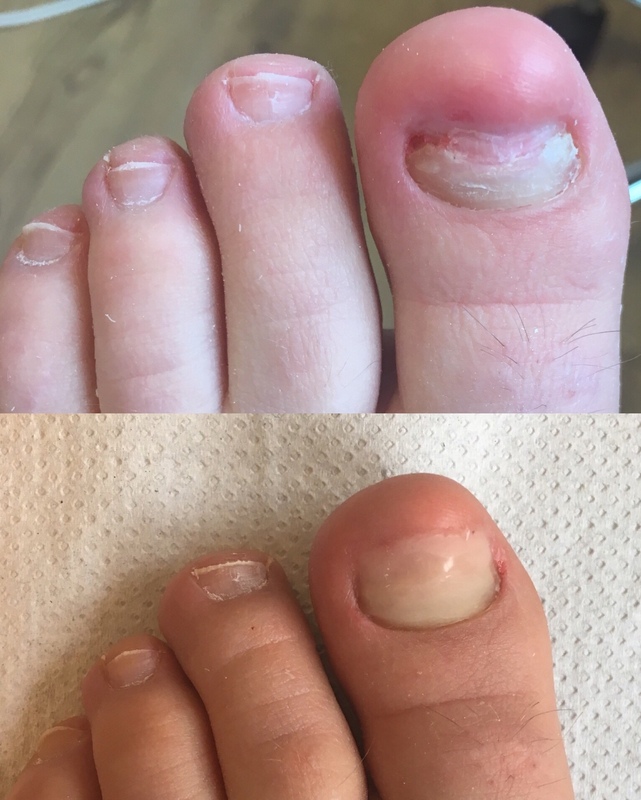 How is toenail reconstruction different to gel nails in a salon? The nail created by toenail reconstruction is described as prosthetic. It is not an acrylic nail, instead it is designed to look and feel exactly the same as a natural nail. Toenail reconstruction uses a specialised resin that is flexible, whereas the gel used in salons is hard. The resin needs to be flexible to allow the toenail to move with the natural movements of the toe, this is very important as the nail will last longer and not ‘lift’. The resin used has anti-fungal properties, meaning any nails which have a fungal infection will be treated whilst wearing the nail. Nail reconstruction is carried out by a fully qualified foot health professional. The nail that is constructed will not damage any natural nail or restrict growth, this means that the natural nail is able to grow unaffected. In addition to Toenail Reconstruction, get in touch with us today for nail cutting, fungal nail, verrucas, chiropody services, and podiatry treatments – we’ll be more than happy to help. How long will the new nail last for? Nail reconstruction is not a permanent solution, the length of time the nail reconstruction lasts will vary from person to person. However on average a new nail will last between 4-6 weeks before it needs to be re-filled or re-applied. What happens during toenail reconstruction? If you have a nail the foot health professional will begin by reducing and removing as much of the diseased nail as possible. The nail is then roughened with a file or drill. If there is no nail available then the procedure would start at stage 2. The toenail is cleaned and disinfected. A solution containing anti-fungal properties is applied to the nail bed\plate to enhance the bonding of the resin. The foot health professional will then apply the resin in layers with each layer being hardened under a UV light. As soon as the desired look and thickness has been achieved the nail is then filed and buffed smooth. Finally, If desired a high gloss layer can be applied. Who is toenail reconstruction suitable for?